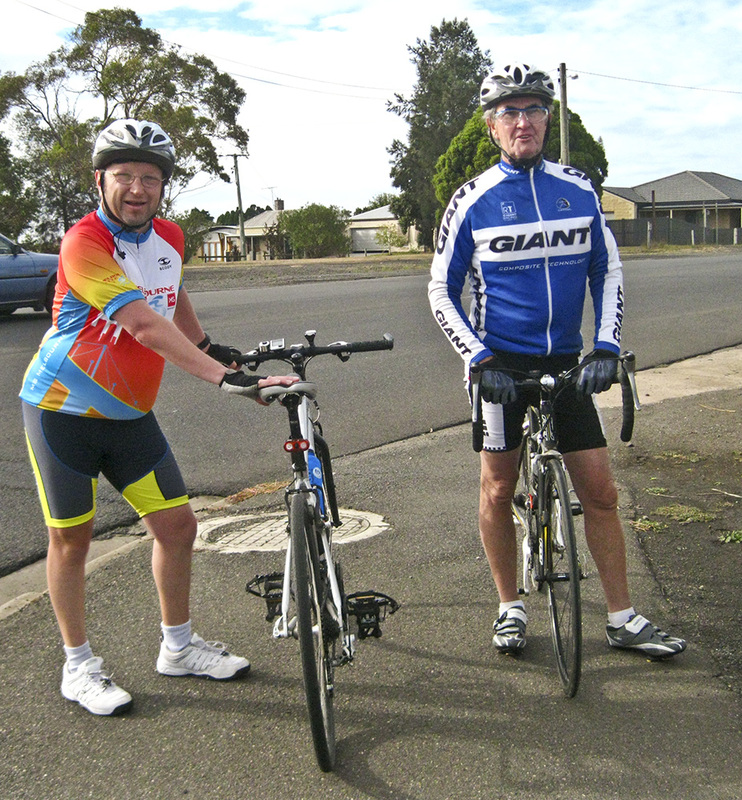 After a windy night, only five riders (Laura and Neil, leaders, Tim, Stella and Helen) turned up to Balyang Sanctuary to ride to the waterfront via Fyansford and the Cement Works Rail Trail. The river path was quiet, and there was some evidence throughout the ride of the heavy rain Geelong had experienced yesterday afternoon, with debris on the roads and paths. 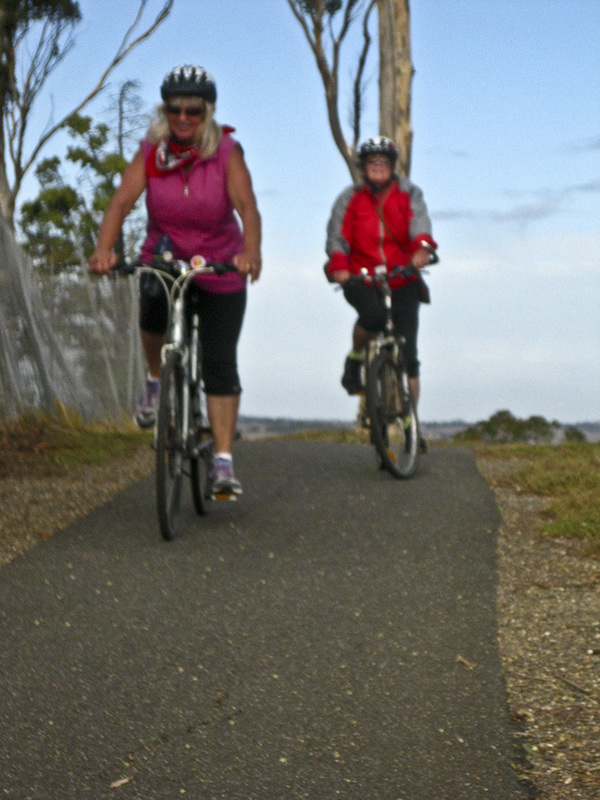 At Fyansford, the steeper route along Highland Street was chosen with Stella and Laura opting for the bike path while Tim, Neil and Helen rode on the road. The Cement Works Railway Trail is probably one of the oldest rail trails in Victoria – and is showing its age in many places. However, it’s still an enjoyable way to link to the bay. Take care when crossing Church Street, Ballarat Road and Thompson Road. From Douro Street, the riders crossed the railway at Separation Street, the continued along the Separation Street extension east to join the Melbourne Road, taking the western side path to the lights at Mackay Street. Pickers Coffee was an excellent stopping point. From St Helens, the riders went their own way. Helen and Laura checked out the monthly market outside Osborne House. Thanks to Laura and Neil for an interesting and most enjoyable ride. This entry was posted in Ride reports and tagged Old Cement Works Rail Trail, Osborne House, Pickers Union Cafe by hlyth2013. Bookmark the permalink.